Last week couldn’t escape the situation PewDiePie set up for himself. The most popular gaming content creator and streamer was caught flinging out a racial slur during a stream of PlayerUnknown’s Battlegrounds, which once again put him in the wrong spotlight after an equally controversial debacle from earlier this year. 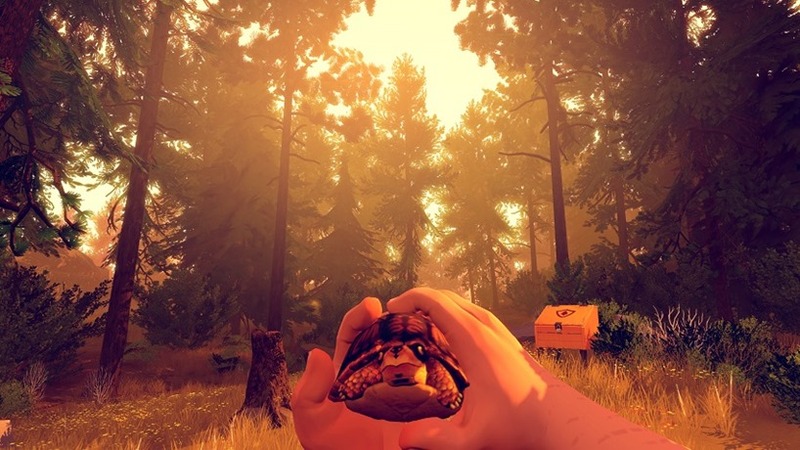 The real conversation ignited when Firewatch developers, Campo Santo, had evidently had enough with his behaviour. The studio issued a DMCA strike on content PewDiePie had made with their game, and both he and YouTube have accepted it. The policies and laws around Fair Use are like uncharted waters. There are many debates and anecdotes about what should be considered fair use, but none of them has really set precedent in a court of law. Right now, there’s a fragile relationship between developers and content creators, both of whom recognise the advantages they both reap from allowing it to continue. Campo Santo’s move was seen at large as the first step towards the possibility of that changing though. The first example of a studio legally removing the right to distribute their content based on their views of a streamer. And PewDiePie recognised that as fair in a new video, but also seemed a little shaken but what it could mean. Plainly put, DMCA strikes work directly against a channel on YouTube. If you get three, the channel is automatically wiped clean and deleted – a horror story for anyone who depends on the platform. PewDiePie acknowledges that Campo Santo was within their rights to issue the strike (he made the video private after they stated they would do so), but expressed his disappointment with a system that could potentially be abused. Mona Ibrahim, a lawyer who has dealt with these sorts of issues for Polygon in the past, says that the reasoning behind DMCA strikes isn’t even important. Copyright holders can choose to issues the strikes if any sort of infringement has occurred without needing to give a reason for it – another example of how Let’s Play culture hinges on developers understanding the benefits the publicity brings them, and allowing it without needing to issues strikes. It seems as though not many other studios have risen to Campo Santo’s call, and the acceptance of the strike on PewDiePie’s part suggests that this microcosm of a matter is laid to rest of now. But the issue at large is certainly on the mind of YouTube content creators now, and the proverbial doomsday clock seems closer to midnight than ever before.